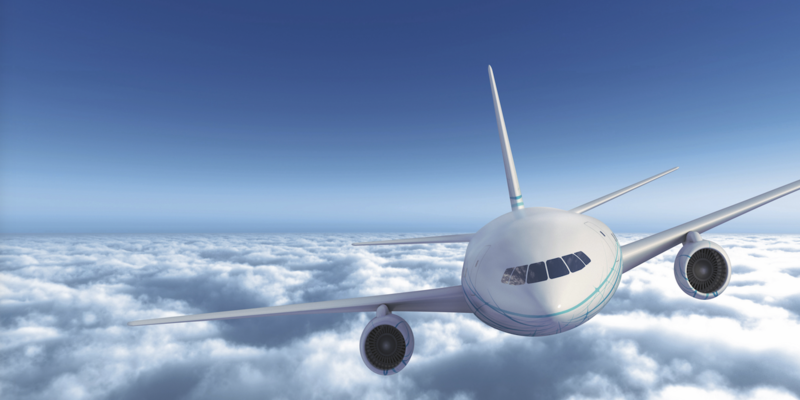 You are at:Home»Features»How can we fill the gap left by the Boeing 757? What is the ‘middle of market’ aircraft that continues to be the talk of the aviation town? The short answer is that it is the aircraft that will replace the Boeing 757-200. The long answer is that it is an aircraft powerful enough to take off from relatively short runways, with enough fuel to fly between northeastern USA and Western Europe, and the correct mix of fuel efficiency and capacity to turn a profit on relatively low-demand routes. Historically the key to the middle of the market has been the B757, and particularly the B757-200, which has a longer range and shorter body than its stretched -300 sibling, often referred to as the ‘flying pencil’. Many in the aviation industry believe that in October 2004 Boeing ended B757 production a decade too soon, with numerous airlines failing to find a replacement for this arguably overpowered but unarguably capable aircraft. The cream that the B757 has skimmed is the long and thin routes of around 4,500 miles and 160-170 passengers, the most popular of which are over the North Atlantic. These are generally routes that let passengers cut the numbers of connections in their trip to one or zero. These aircraft are mostly in use in the USA. Delta (125 jets), FedEx (106), United (77), UPS (75) and American Airlines (57) are the largest operators according to FlightGlobal’s World Airliner Census 2016. Icelandair (28), DHL (22), Chinese cargo operator SF Airlines (15), charter carriers Thomson (14) and Condor (13), and cargo airline European Air Transport operating DHL flights (12) are the only other airlines with a dozen or more. to the B757 is found. A key question for airframers and airlines, though, is whether this niche is large enough to make the creation of a new aircraft profitable. in the industry as being too large for the middle of the market and was not ordered. Replacing the B757 with the B787-8 would add even more surplus capacity. Seattle also continues to propose stretches of the B737 MAX, but these suffer from the same issue as the rest of the 1960s-designed B737s: they are too low to the ground for large enough turbofans, and raising the landing gear isn’t the answer. The only notable B757 operator to decide on the MAX is Icelandair, which has a large proportion of its routes within the aircraft’s range, and also benefits from colder, denser air at its Keflavik hub and largely cool climate airports. 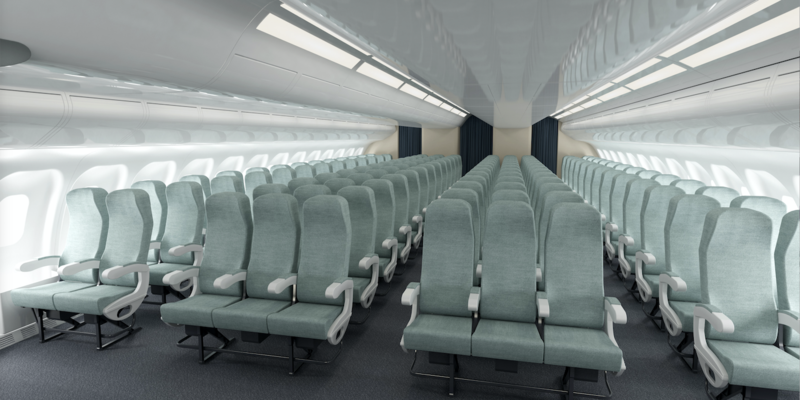 “Because the B757 is long since out of production, and no other aircraft is a true replacement, airlines have had to seek alternatives to match its capabilities,” Routehappy data research manager Jason Rabinowitz tells Aircraft Interiors International. Routehappy is a website that matches and scores passenger experience for flights. “OpenSkies was an all-B757 airline until it acquired a B767-300 from parent company British Airways in order to boost capacity. Icelandair and Canadian carrier Westjet have also added B767s to their previously narrow-body-only fleets,” Rabinowitz explains. the B757. Airlines such as Norwegian will begin to offer cheap transatlantic service, while JetBlue is eyeing the A321LR to bring its Mint product across the Atlantic,” adds Rabinowitz. Indeed Airbus seems to have taken the advantage with its A320neo family. With all three of the major US carriers already operators of the A320 family, commonality is a plus. The range improvements of the standard A321neo have been further advanced with the A320neo family aircraft now known as the A321LR, which adds extra belly fuel tanks for a 4,600-mile range, which is in some configurations slightly more than most configurations of the B757. But range depends on several factors, including the number of passengers, amount of luggage, and weight of seating. When winds are strong across the Atlantic, the B757 already struggles to avoid a fuel stop in northeast Canada en route to the USA. So a crucial factor will be keeping the weight of the interiors to a minimum. Currently the better-equipped B757 aircraft offer a B/E Aerospace Diamond fully flat bed in a 2-2 configuration, with other certified options including the first-generation British Airways Club World yin-yang fully flat bed presently on OpenSkies, the Contour J2000 angled lie-flat seat as seen on Air Astana (and Virgin Atlantic back in 1999), and older recliner products like the Aviointeriors Andromeda seat on Icelandair’s Saga class. Innovation is also happening on the B757 replacement generation. “While atypical, partial or full direct aisle access is possible on middle of market aircraft. American opted for reverse herringbone seats to provide direct aisle access in first class on its A321T operating between New York and California, but doing so dramatically lowers overall aircraft density. American’s A321T is configured with only 102 total seats on board,” Rabinowitz notes. Of the key current B757 operators, only OpenSkies offers a true international-style premium economy product, using a comfortable older Weber cradle sleeper that is perhaps the best seat worldwide in premium economy. That seat is not, however, matched on OpenSkies’ B767. International premium economy isn’t yet sold on any airline’s A321, although numerous airlines brand similar recliners as first class or business class, meaning that certification of this kind of seat for international premium economy should be swift and routine. US-style extra legroom economy seats, such as JetBlue’s Even More Space and United’s Economy Plus, are also widespread. An operational passenger experience question for airlines operating the A321 is whether premium passengers will be able to turn left on boarding. Since the A321 is shorter than the B757-200, and Door 2 is closer to the wing and the engines, airlines do not routinely board from the second set of doors, unlike with the B757. This might seem like a first class problem, but having passengers turning both ways on entering the aircraft is helpful for speeding up the boarding process. Reduced footfall through the premium cabin also saves wear and tear on capital-intensive first/business class seats, enables flight attendants to perform pre-departure beverage service more efficiently, and provides a more relaxed atmosphere for high-value premium cabin passengers. For this market – and for the high-density opposite end – Airbus has a wide range of door options that it calls Cabin Flex. One element exchanges the full-size A321 Doors 2 (and possibly Doors 3) for one or two overwing exits, as with the A320. Another element deactivates Doors 3, depending on passenger numbers. American Airlines’ high-premium transcontinental aircraft could certainly be in the market for this, as could JetBlue’s Mint product. At the other end of the pricing chain, airlines such as AirAsia, that want to push the 240-passenger boundary, can make the most of the cabin real estate. If the A321LR is Airbus’s answer to the middle of market question, Boeing’s product gap is a problem for the airframer – and it’s less about the size of the niche than about the middle of market’s role as a sales leader. If airlines are buying the A321LR as their neo-generation middle of market aircraft, they’re much more likely to also purchase the A320neo family for the rest of their needs. That’s as true for US mainline carriers as it is for the European leisure operators and leasing companies, and it seems unlikely to be resolved by the B737 MAX. A compounding problem for Boeing is that the instant it starts talking seriously with airlines about the B737 MAX’s replacement, it torpedoes demand for the MAX. But how long can Boeing let the current state of affairs remain? The first detailed aviation customer view of how next midsized airliners should be configured and perform and how much they would be willing to pay for the aircraft has been compiled. A global research study produced jointly by Penton Aviation Week Network and Bank of America Merrill Lynch Global Research saw surveys conducted across the aviation community, with more than 500 qualified airline and air cargo senior managers responding from Asia-Pacific, North America, Europe, the Middle East, Latin America and Africa. According to the analysis, the segment MOM would enter will demand nearly US$250bn worth of aircraft at retail prices over the next 10 years. Indeed the researchers forecast the MOM segment to be one of the fastest growing aircraft categories, with a 5.7% average annual growth rate compared with a worldwide rate for all types of 3.4%. The results verified extremely high demand for the aircraft, with 89% of respondents saying they are interested in purchasing it; 82% of which would like to buy it before 2023. How long can refits extend the B757’s life? 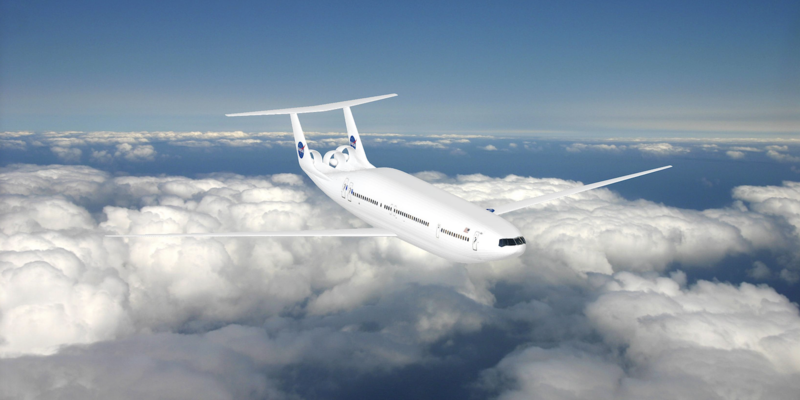 “Most airlines operating middle of market aircraft attempt to design a cabin as close to its international wide-body aircraft as possible, with some obvious restrictions due to the narrow-body nature of current middle of market aircraft,” says Jason Rabinowitz of Routehappy. Delta’s fleet strategy of extending the life of older aircraft while refurbishing their products has reaped benefits for the airline and its B757 passengers. These aircraft are indistinguishable from factory-fresh jets for everyday travelers. Delta is also installing more expansive pivot bins to replace the flip-down versions on its older jets. American, however, offers no seatback IFE in either business or economy class on these aircraft, and no wider cabin upgrade either.